The votes are in and two Bisons-- third baseman Jason Leblebijian and catcher Danny Jansen-- will be representing the Herd at the Triple-A All-Star Game on July 11. Leblebijian and Jansen will both be starters as members of the International League All-Star team after being the top vote-getters for their respective positions. This season marks the second straight year that Leblebijian has been selected for the Triple-A All-Star Game. With the trip to the game, Leblebijian now holds the distinction of being just the third Bisons player in the modern era to be chosen for the All-Star team in back-to-back seasons. "It's definitely an honor, definitely exciting," Leblebijian said about being an All-Star in consecutive seasons. "Last year was fantastic, being able to experience it. [I'm] just really looking forward to what they have in store for us in Columbus." This season, he holds a Bisons team-high with 10 home runs and is hitting .250 with 35 RBI in 62 games played. Leblebijian's home run count is tied for sixth among hitters in the International League and he is one long ball shy of matching his previous total from last year. He voiced that being selected to an All-Star game reaps the benefits of knowing in-game performances are trending in the upward direction. "When you get chosen for something like this you know that you are somewhat on the right track, somewhat showing consistency which is definitely a positive, especially going into the second half." Leblebijian and Jansen share the bond of baseball and friendship, the third baseman commented. "I've been fortunate to play with Jan-O [Jansen] for three, four years straight now," Leblebijian said. "We're road roommates. We have a really good relationship and to be able to go through this experience with him is definitely going to make it that much better and I'm sure he's going to have a blast there." This is Jansen's first nomination for the Triple-A All-Star Game. "[I'm] honored," Jansen said about the accolade of being selected to play in the game. "First Triple-A All-Star Game and to go with Jason Leblebijian, one of my good friends." The Herd catcher leads the team in hitting with a .299 batting average. 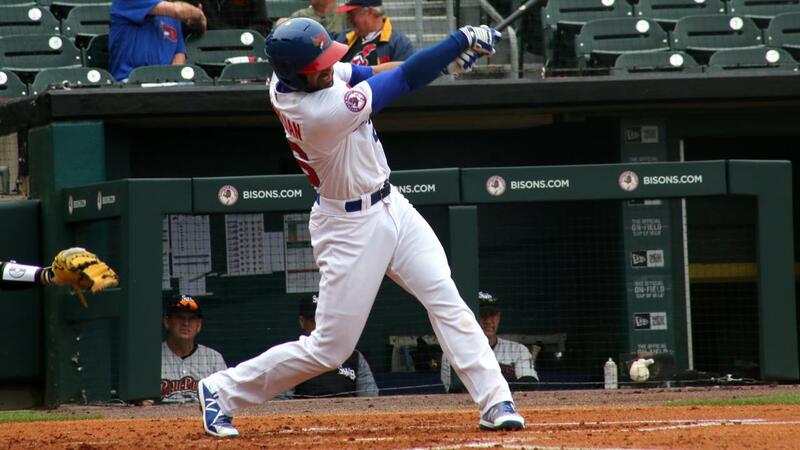 Additionally, he has tallied 23 extra-base hits and 39 RBI which both rank first among Bisons' hitters. "I think it all goes back to just staying healthy and just going out there are playing and being calm minded and trying to get better every day," Jansen said. "Having the reward like that it's truly honoring and it feels good." 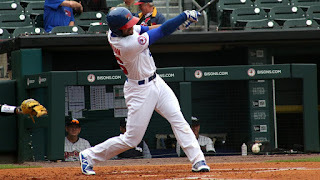 In 2017, Jansen was a part of the Florida State League (Single-A) and the Eastern League (Double-A) All-Star Games before he received a call up the Bisons. Last season, Jansen played in the Double-A All-Star Game, which was his first taste of a game of this nature. "I really enjoyed it," Jansen recalls about the game. "It was crazy. Lot of fans and the festivities before that… it was really cool." Just like any sport, baseball players often interact with other players-- even if they are on different teams. The All-Star game offers players a unique opportunity to play alongside those who are normally in the opposite dugout. Leblebijian said he looks forward to this aspect of the annual contest as sometimes, these interactions make for enjoyable moments. "When you play games against each other a lot of funny things happen," Leblebijian noted. "Those are usually things you talk about during days like these." Aside from light-hearted conversations, players can also chat with each other about the game itself as they strive to constantly improve their skills. "You are able to pick their brains a little bit too," Leblebijian said. "If there is a guy in the league that you like his approach or like his swing, that might be your chance to kind of pick his brain and talk a little baseball." Jansen agreed with Leblebijian that the All-Star Game provides a chance to enhance baseball knowledge. "Catching-wise handling a lot of the good arms like that," Jansen said about what he can take from the game. "Learning from those guys and maybe other catchers that are there as well, just picking brains. There's a lot of talent around there." The 2018 Triple-A All-Star Game will be played on Wednesday, July 11 at Huntington Park in Columbus, Ohio. The game is scheduled for a 7:00 p.m. first pitch.